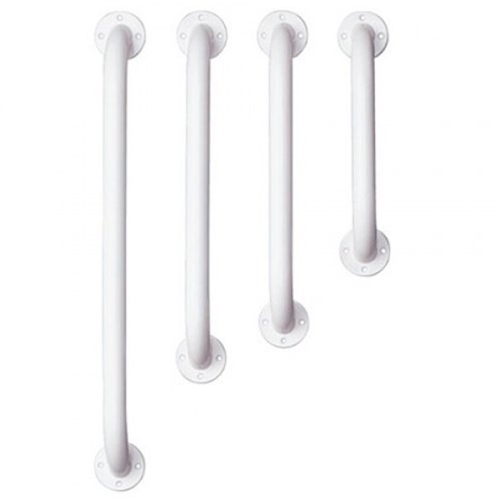 McKesson Wall Mounted Handicap Grab Bar from HealthyKin.com provides you with the safety and security you need in your bathtub or shower. It can be installed in any direction, depending on how you want to use it. Great product! The price is ridiculously low & superbly strong durable metal that its made from. The screws that it comes with are also really high quality strength. I mean after putting only 1 for the top & one for the bottom (it comes with total of 6 screws) the grab bar was so stable I was hestitant to add the rest but then I did & it felt like not even a sumo wrestler would be able to make it move or pull out. Great product yet again from HealthyKin & McKesson!